Written by Lynda Calver on January 19, 2016. There is no doubt that the markets are going through a period of extreme volatility. The last week has been another rollercoaster ride with graphs yo-yoing wildly from one day to the next. The Dow Jones and the S&P 500 indices both recorded their worst first week of January since records began and investors are understandably getting jumpy. All those headlines declaring record losses do nothing to assuage our fears when we see share prices and the value of our portfolios tumbling. While it is natural to be concerned, keep calm! Before you decide to cash your shares in and stuff your savings under your mattress, you should remember that stock markets have been prey to periods of volatility in the past and have always recovered. Lots of investors panicked during the crash of 2008, selling shares at the bottom of the market, preferring to hold cash. While their bank deposits were earning minimal interest and at risk of erosion from inflation as rates were slashed, they missed out on the subsequent bull run in the markets. Trying to time the markets is a fool’s game except for those who make it a full time job (and even they don’t always get it right). It’s impossibly hard to do and while you may luck out with some of your investment choices and make some big gains, in all likelihood you will make ill-conceived and badly timed decisions which lead to even bigger losses leaving you worse off over the long term. For most of us investing is not about getting the highest returns possible but about consistency over an extended investment period as we squirrel money away for retirement. That almost certainly won’t be achieved by responding to market movements, even the dramatic ones we are seeing right now. It can, however, be achieved by careful choice of a balanced portfolio which spreads risk through diversification. 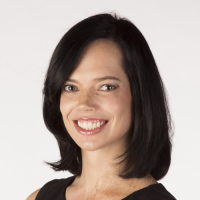 I’m not suggesting that you never change it – it is important to review your portfolio on a regular basis and adjust it when you go through life changing events such as having a child – but the important thing is to stay invested over a long timeframe. The exception of course is if you are going to need to cash in your assets in the short term – that could be if you are retiring in the next few years or you want to cash in some assets to pay a deposit on a house. In that instance, you might want to protect that portion by moving it somewhere less vulnerable to volatility and this is something to discuss with your financial adviser. The growing uncertainty in the geopolitical arena is having a big impact on the world of business and finance and 2016 may well prove to be a difficult year for investors but taking your money out of the markets altogether could be costly. If you’re still not convinced, I’ll leave you with some food for thought. A recent study by JP Morgan Chase showed that missing the ten best days of trading over a ten year period could have a seriously big impact. It revealed that over the period from January 1995 to December 2014, a $10,000 investment grew to $65,453, even with the 2008 crash to contend with. However, removing the ten best days of trading left the investor with just $32,665 - less than half the amount. 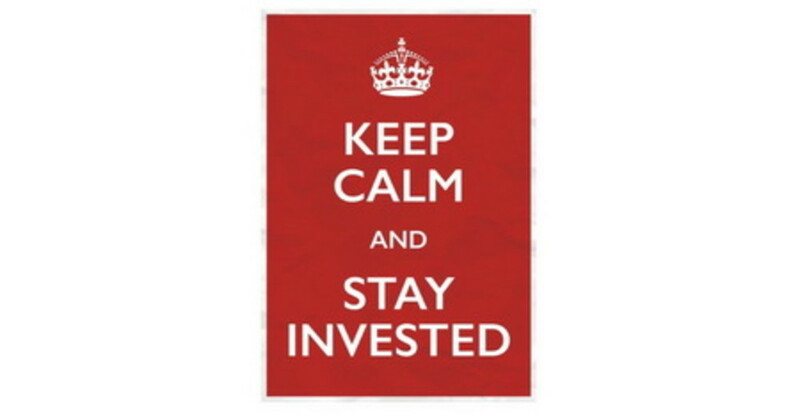 There’s only one way to go – keep calm my friends and stay invested!